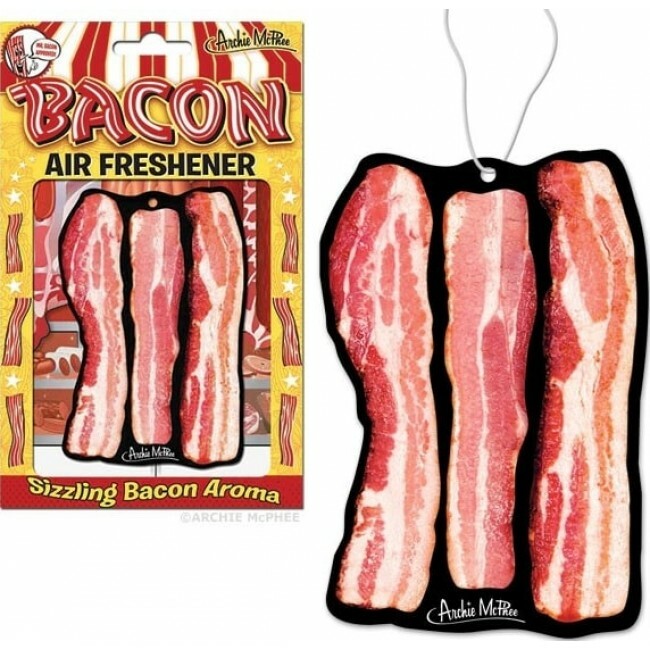 This unlikely Bacon Air Freshener is the perfect way to brighten any carnivore's day. 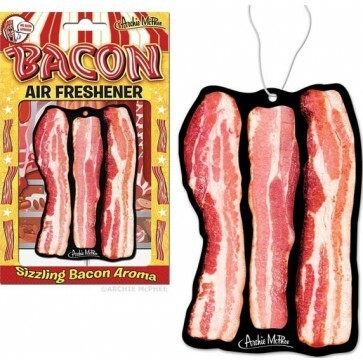 Put one up in the family room and everyone will have a sudden craving for a BLT. Each has a handy string for hanging and measures about 4" (10.2 cm) tall. Illustrated cardboard sleeve.